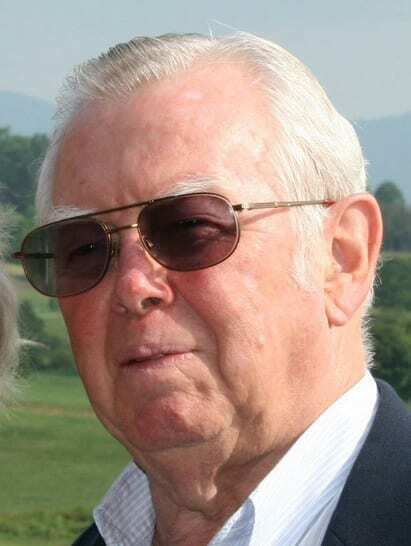 Richard Kerr "Richie" Story: Obituary | Cherokee Co N.C.
Richard Kerr “Richie” Story, 87, of Hayesville passed away Wednesday, May 30, 2018 at Erlanger Murphy Medical Center. He was a native of Queens, New York. Richie and his wife, Carolyn, live in Largo, Florida but are seasonal residents of Hayesville. He was a veteran of the Korean War, serving in the United States Navy. Richie was an electrician with IBEW Local No. 3 in New York City, retiring with 42 years of service. He was of the Christian faith. He was the son of the late Edwin D. and Helen Catherine Kerr Story. Surviving are his wife of 31 years, Carolyn Bruns Story; a daughter, Lisa Kitner of Fort Myers, Florida; a son, Richard E. Story and wife, Patricia of Freeport, New York; two step-sons, Sean P. MacGilvray and wife, Teresa, and Shannon J. MacGilvray, all of Queens, New York; a brother, Edwin D. Story and wife, Joan of Ocala, Florida; and ten grandchildren. A Celebration of Life will be held from 2:00 – 4:00 p.m. Sunday, July 22, 2018 at The Ridges Country Club at The Sequoyah.